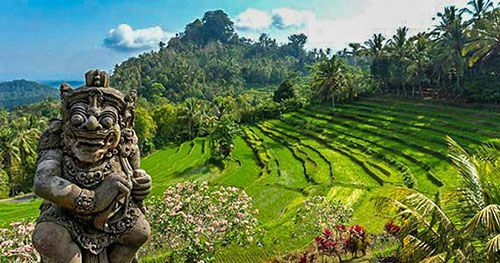 Bali Besakih tour or known as Besakih mother temple tour is one of the Bali full day tour packages to visit Besakih temple (Indonesian: Pura Besakih) which is famous as the biggest temple complex in Bali island. 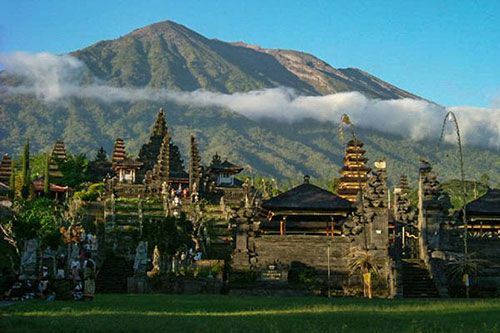 Besakih Temple Bali is situated on the slopes of Mount Agung that is recognized as a dormant stratovolcano and the highest peak on the island of Bali, Indonesia. 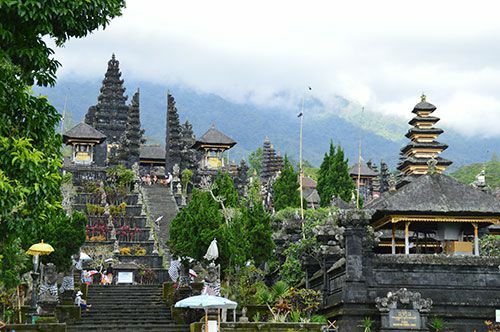 Besakih temple tour is a tour package from Bali Places Tour that is perfect for the traveler who likes to experience the spiritual places in Bali, here we will be able to see the grandeur of the temple of Besakih which is very sacred to the Hindus in Bali and blended by the stunning panorama of the majesty of Mount Agung in the background. Besakih itinerary is combined by visiting the interesting tourist attractions that are particularly located in the southeastern part of the island, so in one day you will not only see the beauty of Besakih temple. Besakih trip spends approximately 8 hours to 9 hours and will be accompanied by a friendly driver with a vehicle that is equipped with air conditioning so it will make your trip really comfortable and enjoyable. Besakih Temple Tour is a private tour with a private vehicle (not a sharing tour). Please contact us for pick-up in other areas in Bali. Below is the one-day itinerary Besakih temple tour package to visit the top places of interest in the southeastern part of the island and the Besakih mother temple of Bali. The first place to visit on Besakih temple tour itinerary is to visit Batubulan Village to watch the Barong dance performance, this Balinese dance is also called Barong & Keris Dance (the trance dance). 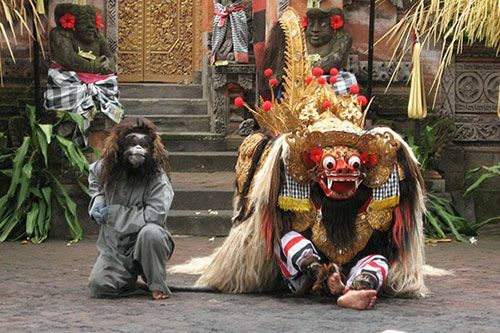 Barong is a lion-like character as well as figure in the mythology of Bali. Barong can be described as the king of the spirits, reign over of the hosts of good, and rival of Rangda, the demon queen and mother of all the spirit guarders in the mythological ethnicity of Bali. The combat between Barong and Rangda is shown in Barong dance show to represent the infinite fight between bad and good. Celuk is the next place to visit in the Itinerary of Besakih Mother Temple Tour Bali. 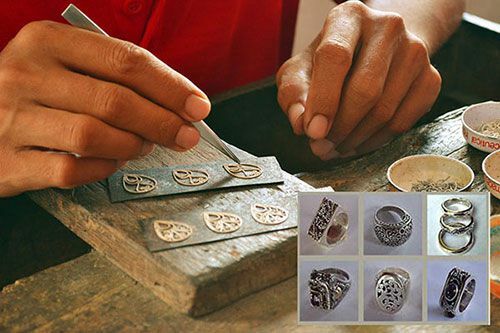 Celuk is the popular village on the island of Bali mainly because of its people are typically well known and great for making motifs to the gold and silver jewelry. The majority of the gold and silversmiths maintain their work for latest style and design in conditions when they are ordered. Along the main roadways, we can easily figure out many different art shops and jewelry maker. Almost every art stores have a workshop where exactly the purchasers are able to see the artisans making the hand-crafted silver accessories. Batuan is the third location to visit in our selections of Bali mother temple Besakih tour package, Batuan village is located approximately 9 km or just more or less twenty minutes from the central area of Ubud. It is certainly recognized for its artworks and style of hand painted drawing which has been begun in the village in the 1930s and has since presented in a major Balinese art style, commonly called as the Batuan painting style. This is definitely the main painting center and has various art galleries and engaging art groups which have offered nearly all in supporting the art painting of Batuan, Bali Indonesia. The fourth place to go on Besakih Temple tour package is to visit Mas Village to see the artisans making the beautiful wooden crafts. Mas village is situated in Ubud subdistrict, Gianyar Regency, Bali. Mas is popular for the wooden handicrafts and also furnishing with outstanding export quality and perfectly prepared and checked. 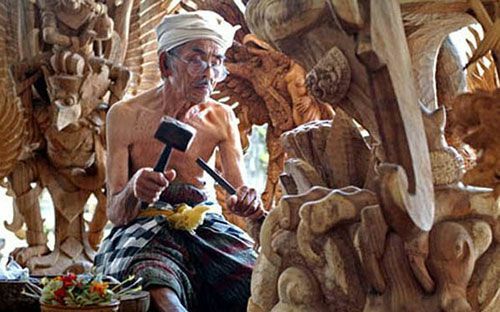 Mas is a central area of wood carvings in Bali island, most of the people in the village of Mas can create the wooden made statues and furniture with a mixture of designs and magnificent creativity, many family members in Mas manufacturing wooden crafts for sell and export. 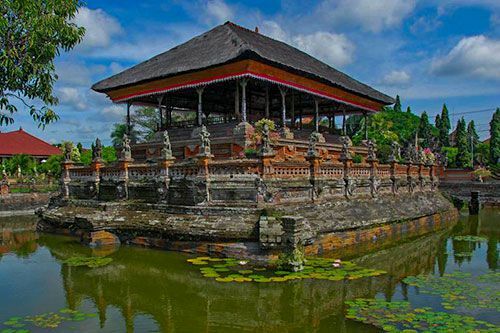 The next place to see on the itinerary of mother temple Besakih tour package is to visit Kerta Gosa that is located in Semarapura town, Klungkung regency, Bali. Kerta Gosa is the Hall of Justice, It is an important part of the former Semarapura Palace (Indonesian: Puri Agung Semarapura), home of the highest ruler of Bali island. Kerta Gosa royal courthouse was built in the north-eastern corner area of the palace yard. It typified the Klungkung type of architecture and hand-painted drawing. Since the Kerta Ghosa was the court of the high emperor of Bali, court cases on the island which often can not be solved were shifted here. The entrance fee to visit Kerta Gosa is IDR 15,000/person (Valid for 2018, the entrance ticket may change without any prior notice). The next stop on a full-day itinerary Besakih temple tour is to visit Bukit Jambul to enjoy the magnificent view of rice terraces while having lunch. We will take you to the restaurant that is located in Bukit Jambul to enjoy the lunch for one hour. The food menu that is served here is mainly the Indonesian food. Bukit Jambul is located in Nongan Village, Rendang sub-district, Karangasem regency, Bali. Approximately 8 km from Klungkung city or 51 km from Denpasar city and 15 km from Besakih temple. The final destination to go in Besakih mother temple tour is to visit Besakih Temple. Pura Besakih is a temple compound in the village of Besakih on the slopes of Mt. Agung in the eastern part of the island of Bali, Indonesia. It is the primary, the biggest and also the holiest temple of Hindu religion in Bali island, and one of a variety of Balinese temples. Perched almost one thousand meters up the part of Mount Agung (Indonesian: Gunung Agung), Besakih Temple is a huge complex of 23 standalone but associated temples with the greatest and most significant currently being Pura Penataran Agung. The temple has been designed in 6 stages, terraced up the hill. The entry is structured by a Candi Bentar (split gate), and beyond it, the Kori Agung is the access to the next yard. The entrance fee to visit Besakih temple is IDR 60,000/person (Valid for 2018, the entrance ticket may change without any prior notice).